A baby heifer at Sierra Valley Yaks. When fully grown, she will weigh between 600-800 lbs. 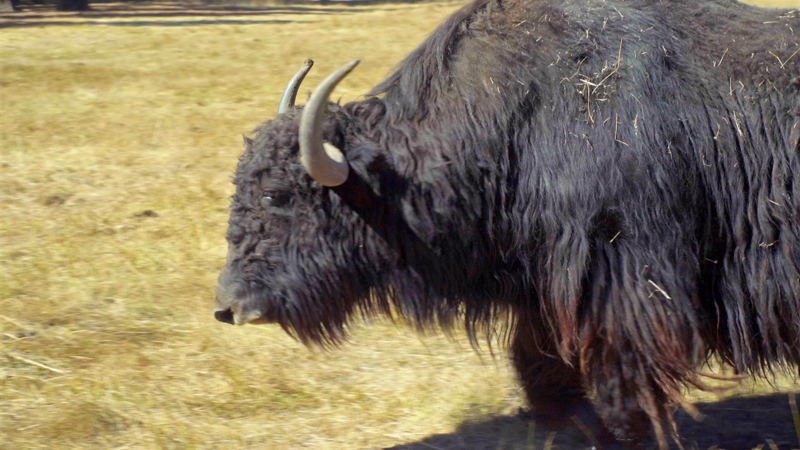 Yaks are native to the Himalaya region, so Sierra Valley, with its cold temperatures and high elevation, is a great place for a yak ranch. 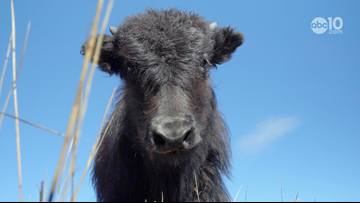 Yak wool is used to make ultra warm, durable clothing. 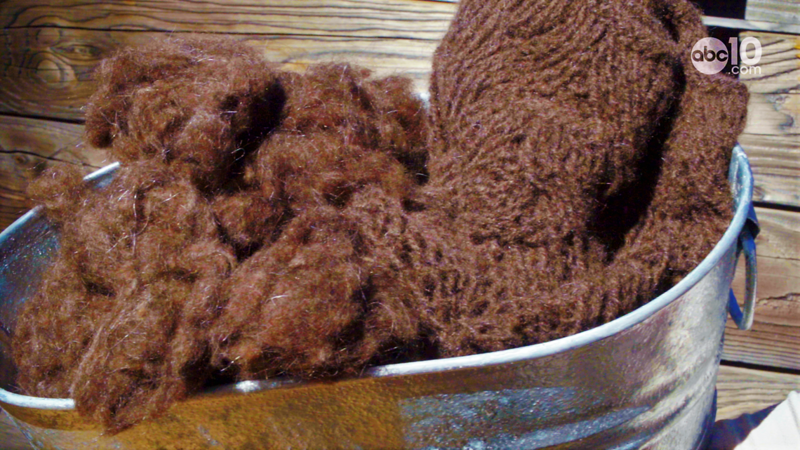 It can cost almost twice as much as yarn from sheep's wool. 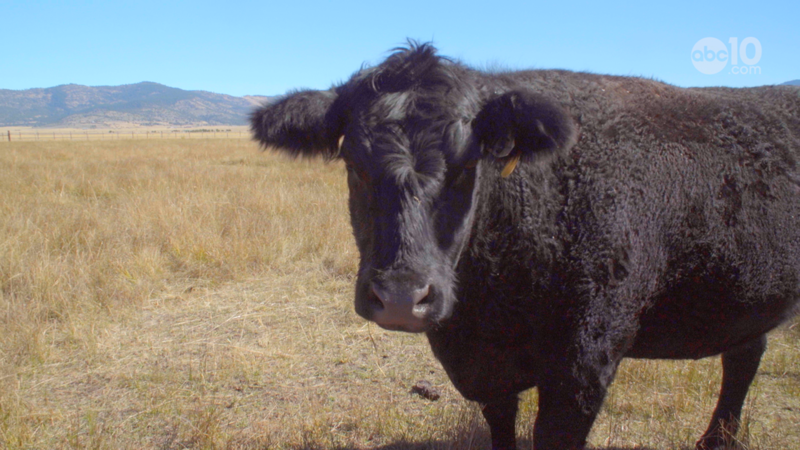 Glory is a cow who lives with the Sierra Valley Yaks herd. Yaks--a close relative of cows--grunt instead of mooing. 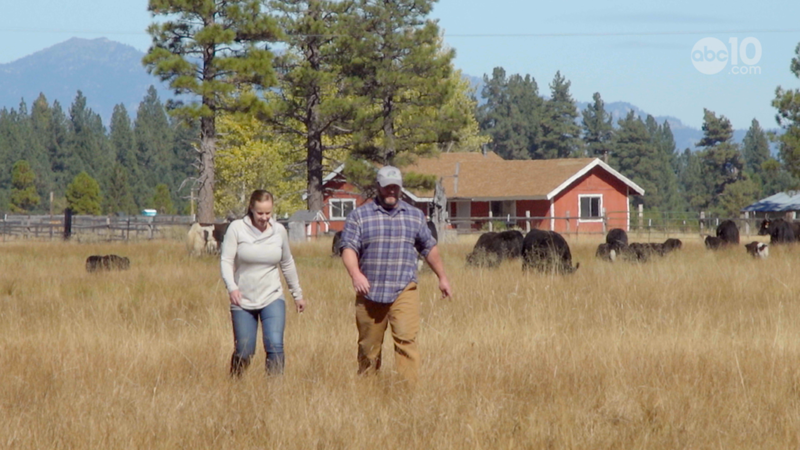 Sierra Valley Yaks owners Jenna and Greg Gatto raise yaks for meat and wool. Next year, they hope to expand into milk and butter sales. 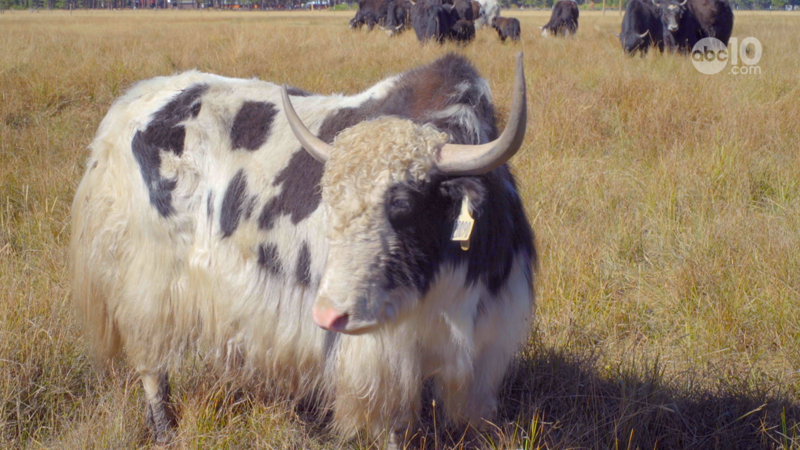 Herman, a two-year-old bull at Sierra Valley Yaks, will weigh 1,200 to 1,500 lbs. when fully grown.